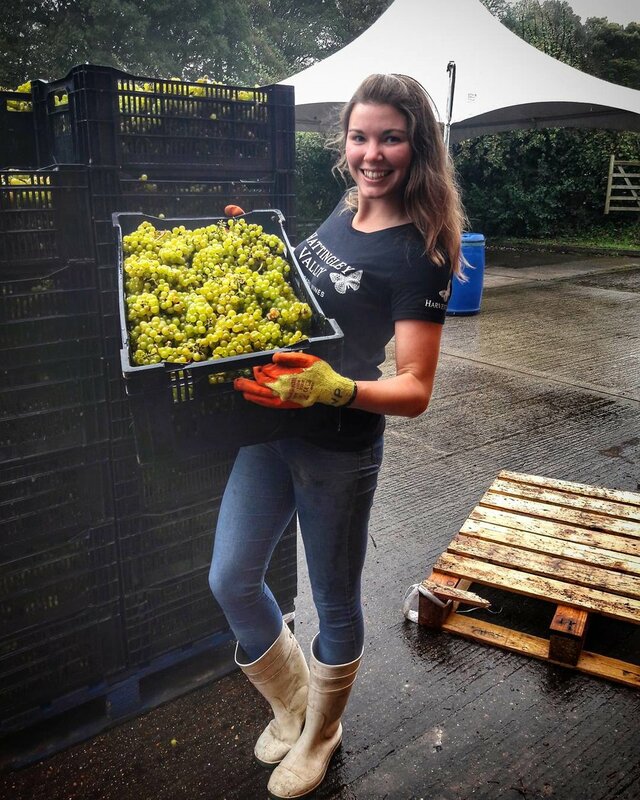 Whilst English and Welsh wine continues to gain international recognition, we thought we’d pay homage to some of the young wine makers/viticulturists contributing to the industry’s ever growing prowess. Winemakers across the country are experimenting with grape varieties, style and technique - as a result, England has become an exciting and inspiring place to be making wine. We contacted Chris Foss (Curriculum Manager of the wine division at Plumpton College) who stated that whilst England needs more skilled young people coming into the industry, their efforts to promote their courses within educational establishments had been thwarted by the obvious legal barrier of promoting alcohol to students under 18. In a recent bid to to raise awareness and encourage participation in the range of land-based courses and careers available to school leavers, Plumpton College and the Royal Agricultural University have decided to join forces. One of their first initiatives will involve a summer school for A level/College students - a conscious effort to attract young people to enroll in their courses. So how can we, as an industry, contribute to alerting young people (of 18+) to the possibility of a career in British vineyards? We believe social media is key. Instagram, for example, has over 700 million users worldwide. With 59% of current users between the ages of 18-29 (Aslam, 2017), this promotional platform could be an effective way of engaging this age bracket. As well as our own social media efforts, there are already a collection of engaging and informative accounts/blogs which share English Wine related content - Great British Wine, Sussex Uncorked, the IEWA, the Wine Student, individual vineyard accounts and many more, are all key to spreading awareness. We spoke to a selection of young English winemakers/viticulturists within the industry. By showcasing our conversations about their journey into the industry, we hope that these examples may offer inspiration to any youngsters looking to get into this rewarding occupation. Please click each of the following photos to read each individual interview. The same interviews can also be found in our 'PEOPLE' section. As the English Wine industry continues to grow, we expect employment prospects within Vineyards will do so too. We hope that this increasing fame, combined with increased job availability, will attract more young people to enroll in wine making courses at places such as Plumpton College. As the UK’s specialist centre for wine research and training, Plumpton is currently the only college that offers undergraduate degrees in wine business and production. As well as a state of the art research winery, Plumpton boasts 10 hectares of vineyards producing 40,000 bottles of award-winning still and sparkling wines each year. Many of the young winemakers featured in this post are in fact, Plumpton alumni! Whilst the answer to the issue seems to be clear, it is clearly not something which will improve overnight. Vineyards across England are already increasing their activity on social media - through persistence and continuous online promotion, we expect and hope that the coming years will give way to more young winemakers, fresh faced and ready to feed their skills back into this exciting industry.